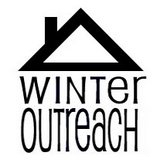 Winter Outreach ran its first trip in January 2009. Eleven volunteers went to New Orleans, Lousiana to work with Phoenix of New Orleans on a house that was severely damaged by Hurricane Katrina. It was most volunteers' first experience doing construction of any kind, but they were incredibly successful. The family who lived in the house had almost four feet of water in their home, and had to repair almost everything except for the roof and the basic structure. The trip was also able to donate $500 to Phoenix of New Orleans. Volunteers returned to New Orleans in January 2010 and will also be going in January 2011. 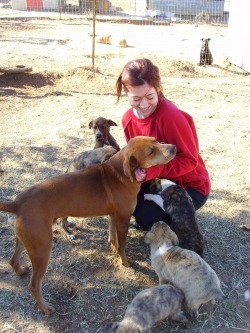 In January of 2010, thirteen students traveled to Texas to work at SARA, a no-kill animal sanctuary located outside of San Antonio in a small town called Seguin. On site, volunteers worked with a variety of farm animals and assisted management with every day tasks such feeding the animals and cleaning their habitats. Volunteers also had unique opportunities like meeting a couple of longhorn steer, nursing a dehydrated pig back to health, and working with new-born puppies. Two volunteers even adopted animals from SARA!